¡Viva La Honduras! ¡Viva La España! ¡Viva La México! Beginning September 15 we celebrate Hispanic Heritage Month. It was on that date in 1821 that five Latin American countries—Costa Rica, El Salvador, Guatemala, Honduras and Nicaragua—declared their independence. Last week fans of David Archuleta had that Latin spirit going on big time, culminating in David’s stunning performance at the ALMA Awards Friday night. Since I first heard David’s glorious voice in January 2008, hardly a day has passed that I haven’t heard it. I have been introduced to songs, such as “Contigo,” that I had not heard before. Soon we will have his debut Christmas album, Christmas from the Heart. On the track list we see familiar carols such as “Joy to the World” and “Silent Night.” There are songs with French roots: “O! Holy Night” and “Pat a Pan.” Songs adapted from Latin text include “Ave Maria,” “The First Noel,” and “Angels We have Heard on High.” And then there’s a song entitled “Riu, Riu, Chiu,” which drew my interest since I had never heard of it. I discovered that “Riu, riu, chiu” was written in the so-called villancico style, which was a popular style in post-Renaissance Spain and Portugal. 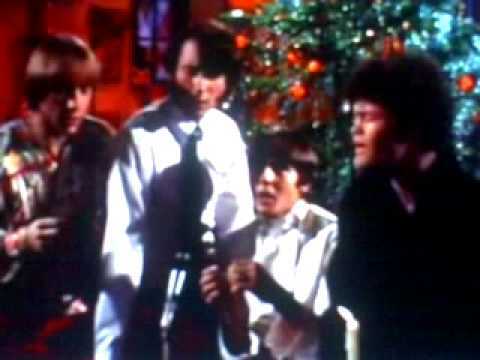 Then to my surprise and delight, I found that the Monkees sang a beautiful a cappella version of “Riu, Riu, Chiu” on Christmas Day 1967. And then I was even more delighted and intrigued when I read the lyrics in both Spanish and English. I can hardly wait to hear what David has done with this material. I hope we are going to hear more Spanish! And perhaps a little French and Latin too. a un qu’era infinito, finito se hiziera. Yal hombre nelcielo porquel le quistera. y paz en el suelo”, pues de sus nasciera. Y el que la drio su hijo so dixera. Christ patriarchal invested with flesh. He who was infinite became finite. And now in our days have we seen them fulfilled. And see man in heaven because he so willed. He is the very lamb Saint John prophesied. To come down to Earth man’s equal to be. 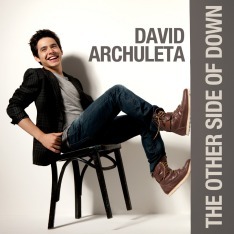 David just proves every single day that he is doing what he was born to do! And so well rounded. I did not remember that David sang this song when he was a young boy. His father once said that we had not seen anything yet… meaning that David still had so much more. Almost every time I hear from David he has done something ‘so much more’. I say a prayer for him nightly that he will continue with what he loves to do and does so well. Riu riu chiu is a very rhythmic carol; the English translation seems to translate lobo as lamb (Lady) and a couple of lines below as wolf. But both come from Latin lupus wolf. But cordera lamb would be agna (f. of agnus) in Latin, what is the probable Latin root of cordera (portuguese cordela) . I would understand the lyrics of RiuRiuChiu better if I had a Latin translation. guardo is not of Latin origin but Altfränkish. hey PeMuro, thanks very much for this information. The Spanish translation of “Riu Riu Chiu” is not accurate: ‘lamb’ is ‘cordero’, not ‘cordera’ in Spanish; in Portuguese, ‘cordeiro’. The phrase “Dios guardo el lobo de neustra cordera” would be translated “God keeps our lamb from (de) the wolf.” I found a Portuguese translation of ‘guardo’ as ‘I keep’, so the inflection is not correct in “Dios guardo”. It should be “Dios guarde”, “God keeps.” And the word ‘neustra’ is wrong, should be ‘nuestro’. I didn’t know about the word ‘guardo’ being an ‘Altfränkish’, or Old Frankish, word. So the sentence should be, “Dios guarde el lobo de nuestro cordero.” Do you agree? RiuRiuChiu is in OSp (OldSpanisch ~1600). Cordera is the f. (for Our Lady) of cordero m. lamb (for Christ), so in G (German) we could imitate it as Lämmin f. vs. Lamm m. The -o of guard-o might be the 3.sg.past; I am surer of -a in the 1st line ‘la guarda ribera’ being the f.sg. going back to francique *wardon watch, watchtour G Warte, Wacht-turm. Ribera < L ripa-ria bank (of a river, not river) so together: G Uferbefestigung E fotification of the (river-) bank.